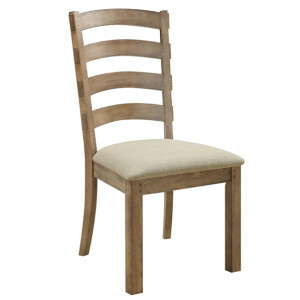 The transitional design of the Bel Air dining collection features elegant lines and dramatic curves. 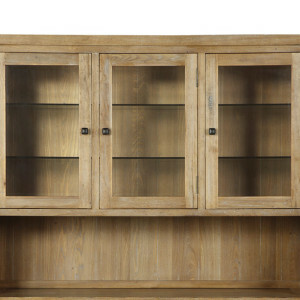 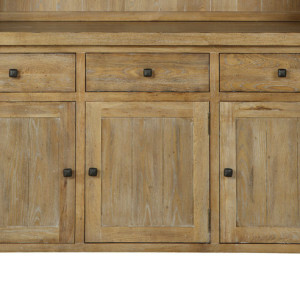 Bel Air pieces are built from solid ash with an elm veneer and have lightly distressed surface finishes. 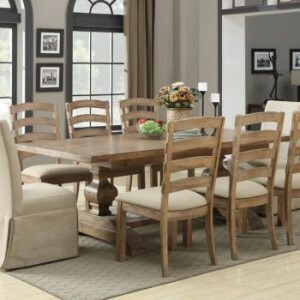 Dramatic pedestal legs on the table offers support and style. 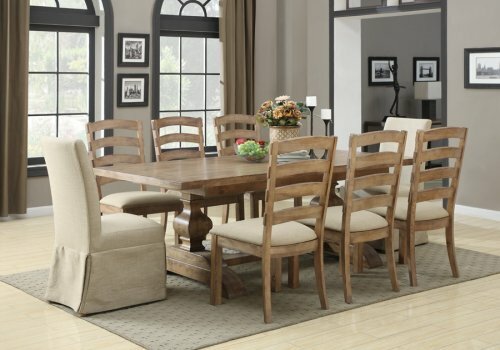 A 28″ butterfly leaf lets you easily expand your table and add to your guest list. 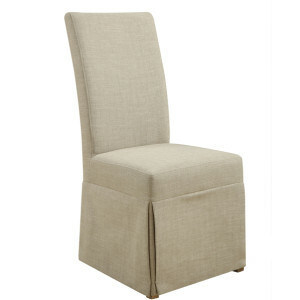 The chairs have padded seats covered in a linen look fabric-Marlow Toast. 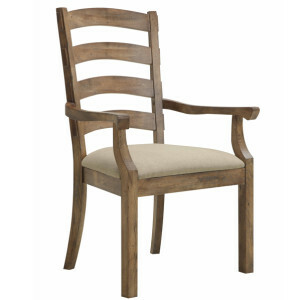 The Parsons chairs are also covered in the linen look fabric-Marlow Toast.